Originally from Calgary Alberta, Shannon made the move to Kelowna in 2003 and can’t imagine living anywhere else. After graduating from the University of British Columbia Okanagan with a Bachelor of Arts Degree, Psychology major, Shannon spent some time in retail service, then joined the team at Hergott Law in spring of 2018. Shannon is really enjoying the work and her great co-workers at Hergott Law. 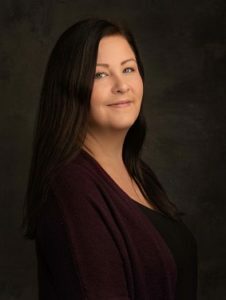 Shannon is raising a son and daughter along with her partner Walter and his two children, and enjoys spending any spare time with family and friends, hanging out on the beautiful Okanagan beaches, or curled up on a big comfy chair with a good book.